One week ago, on November 8th, one of the most intense tropical storms ever recorded hit the east coast of the Philippines and cut a swathe of destruction through the central regions of the country. Since then, we have all heard of Typhoon Haiyan (or Yolanda, as it is called in the Philippines), and numerous images of the resulting devastation have gone around the world. Here at InterNations, we’d like to extend our deepest sympathies and condolences to those affected by the catastrophe, especially to our members currently living in the Philippines and all Pinoy expats worried about family and friends back home. So far, the extent of the disaster cannot quite be fathomed. The United Nations is talking about an estimated 4,500 casualties killed by the storm, but this number is expected to rise further as the cleanup efforts are progressing. About 11 or 12 million people live in the areas where Haiyan wrecked its havoc, and over 900,000 of them may have become homeless due to the typhoon. Various national governments, NGOs, and charitable organizations, as well as countless generous individuals, have already sent financial or material aid. 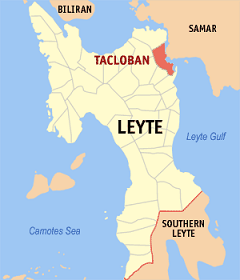 However, relief workers and government officials are faced with several obstacles: Transport connections to and on the islands of Leyte and Samar, where the typhoon hit first and hardest, have broken down; the increasingly desperate mood among the survivors has lead to sporadic outbreaks of looting and violence, and the fact that many victims couldn’t yet be buried increases the risk of epidemic diseases. Nonetheless, there is some good news. Yesterday, international aid finally started to reach some of those people who need it most – particularly in the area of Tacloban, the most populous city in the Eastern Visayas region. The surviving residents are in urgent need of clean drinking water, medication, food supplies, disinfectants, and other basic necessities, but relief efforts will probably take a long while. Large parts of the city have been reduced to debris and rubble. If you too want to help, here are some recommended relief organizations, which are already active in the region. •	The Philippine Red Cross has deployed assessment, rescue and relief teams to the affected islands. They also cooperate with the Spanish Red Cross and the German Red Cross to augment their relief efforts. 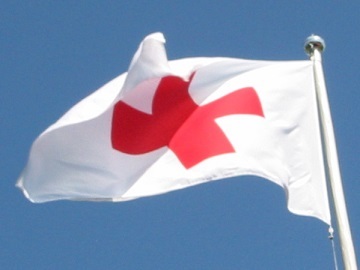 •	The American Red Cross has already begun distributing emergency supplies. They also help to reconnect families with missing persons. They are currently accepting donations, which can be made in honor of or in memory of a specific individual. •	The World Food Program is an organization dedicated to bringing food to refugees worldwide, or to those facing hardship after natural disasters. They are, for example, flying out high-energy biscuits, rice, and canned goods to families in the Tacloban area. •	The International Rescue Committee responds to humanitarian crises around the globe. In the Philippines, they focus on providing healthcare, safe water, hygiene and sanitation kits. •	Doctors Without Borders is sending at least 100 staff members and several planes with supplies to the affected areas. As most local health facilities have been destroyed, they will offer to address urgent and immediate medical needs. For instance, plenty of people will require immunizations to protect them from typhoid fever (often caused by drinking contaminated water). •	UNICEF will be part of the process of rebuilding the Philippines. They care especially for the needs of families and children, mothers and pregnant women. For example, they have already delivered dozens of tents which can be used as improvised schools and safe spaces for kids. Among their aid supplies, there is e.g. folic acid (essential for expecting mothers) or special food to prevent malnutrition in children. •	Most foreign embassies in the Philippines (e.g. the diplomatic missions of Australia, Germany, the UK, and the US) have set up emergency hotlines for enquiries about expats from the respective nations. •	Google Person Finder has a new section for Typhoon Haiyan/Yolanda. •	There is a group for registered Facebook members where Pinoys worldwide can make enquires about people in Tacloban and surroundings. •	Or just send a tweet to @philredcross via your mobile phone, or post using the hashtag #TracingPH. If you would like to share specific information with other InterNations members, please leave a comment in this forum thread. Thank you so much for all your support! I am a well renowned structural engineer. As I am not a millionaire, but I want to make a significant contribution tom the recovery of the Philippines (my wife was born in the Philippines and just lost a very dear relative of hers in Tacloban…). Therefore, I offer my services as a structural engineer for any bridges and/or special structures that may need to be built, or repaired. 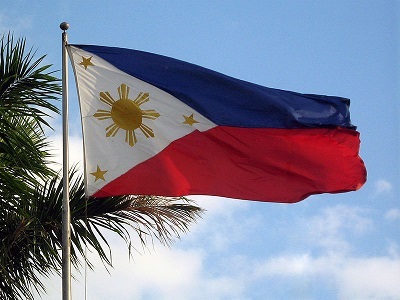 God bless the Philippines and help with their recovery. I’m sorry to hear about your wife’s loss. Your offer is very generous, but unfortunately, we are not an aid organization ourselves. In your case, it might be best to directly contact any technical aid organizations or local governments, since these will be in charge of the rebuilding effort. Good luck with your cause!